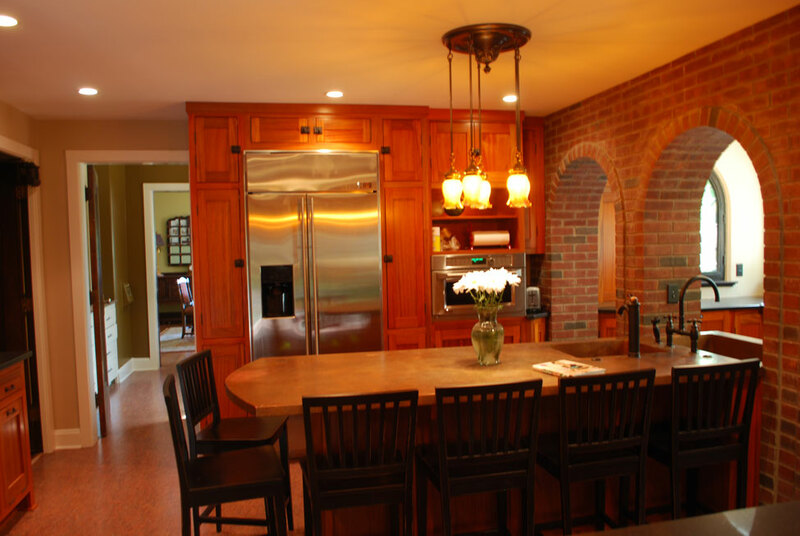 This spacious, yet extremely friendly and inviting home lacked a kitchen with personality and functionality for this growing family and their desire to entertain others. 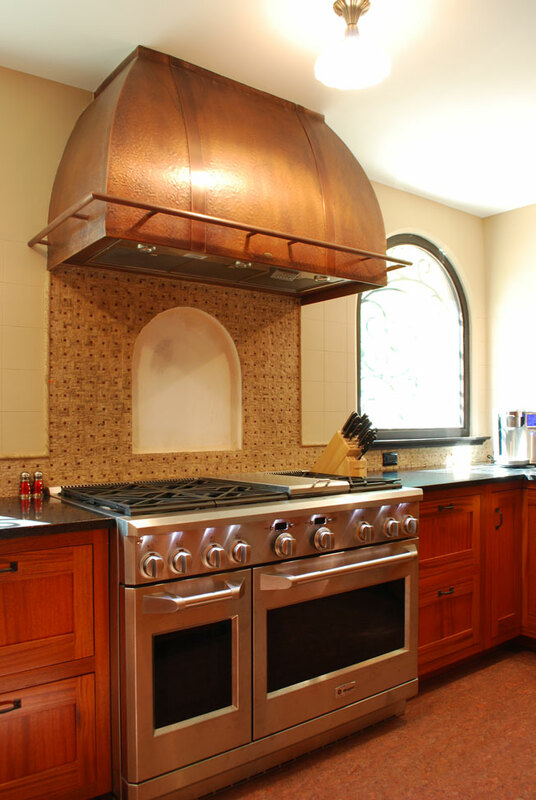 The client’s initial request was to provide for new and larger appliances, maintain views to the rear yard and swimming pool while also seating the family within the kitchen. 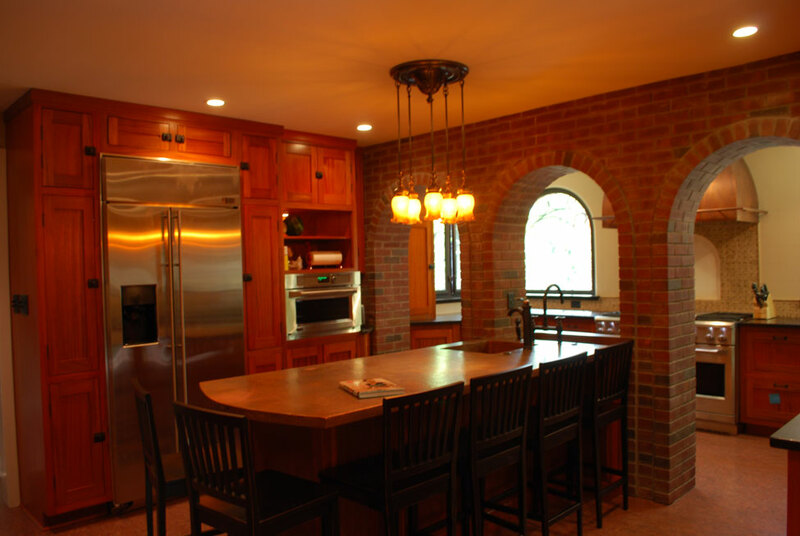 The use of interior brick masonry arches provides the necessary structural support of the second floor and becomes the “focal-point” framing the new commercial grade dual-fuel oven and custom copper hood while separating the “work zone” from guests and family. 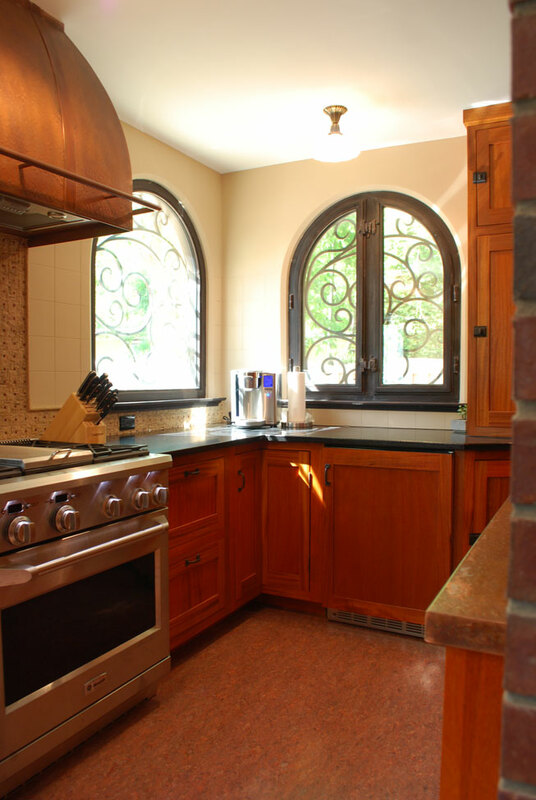 This “old-world” charm, not unlike a Tuscan villa, maintains views to the exterior while providing a highly functional kitchen. 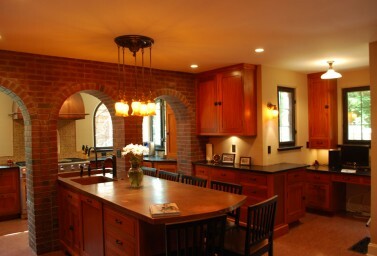 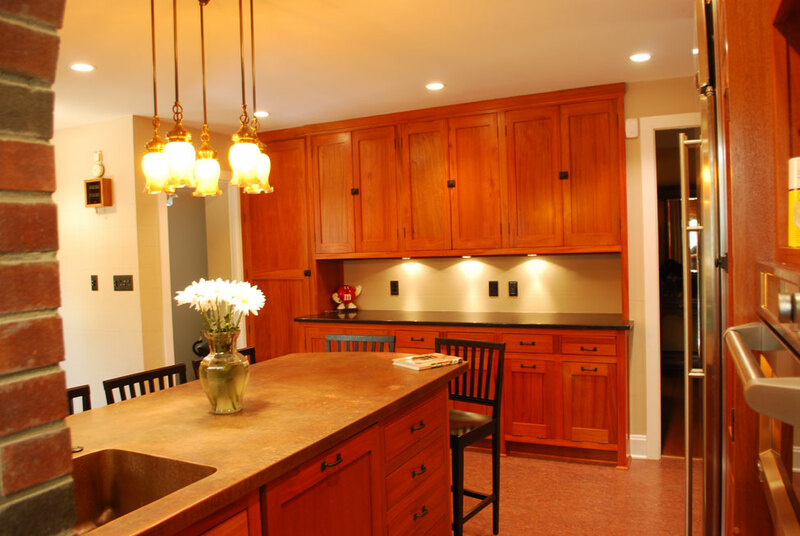 With time (and some patina), this “inviting” kitchen addition will blur the lines between “old” and “new”.